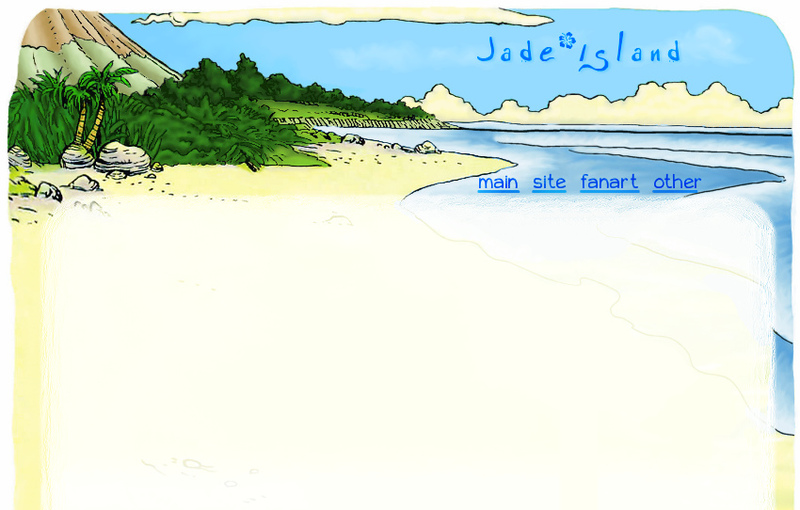 Aloha, I am Jade and this is my lovely island website; home to my fan-works and other stuff for my favorite animated & video game series. Navigation is to the upper right, and I hope enjoy your stay! The Fanart page has been updated with some (actually recent) ATLA crochet keychains, as well as last October's Pokemon Inktober art. Last October's Pumpkin Carving has also been added. My Shiny Pokemon page got an update too. The Fanart page has been revamped, and now includes the art I've completed since the last update in 2013. Yikes. Which apparently has just been ATLA crochet keychains, some Metroid comics, and some other miscellaneous drawings. Oh, and an 85+ page pokémon comic, but I didn't add that one yet. Gonna figure out how to set up its own page first. Until then you can read it here on Tumblr. characters used here belong to their respective owners.